The Journal of the American Medical Association (JAMA) now reports that fatal adverse drug reactions are the leading cause of death in the United States! Natural, affordable forms of self-treatment have been kept from a sick American population by a corrupt FDA, medical establishment and the media...for what purpose?...money. It's all about money and greed maintains it. Modern Americans can be persuaded to believe anything. It is not enough to lead a man toward the sale of a drug. He must also believe that a drug and the doctor who prescribed it will help him. Illegal drugs are on the fringe but legal drugs have subdued the whole population without one in a million suspecting it. The drug business is a commercial enterprise that has nothing to do with benefiting public health. What that means is ... most prescription drugs DON’T work on most people who take them! But it’s one thing for a company to sell worthless products ... and it’s another thing altogether to sell worthless products that kill instead of heal. It’s no wonder that the majority of doctors are frustrated. They entered the medical profession wanting to cure people – but the only tools that medical school training provides them for treating patients are ... drugs and surgery. Doctors have been thrust headlong into a marketing culture that relies on selling as many drugs as possible to the widest number of patients. It’s a culture that has made Big Pharma the most profitable industry in the world – even though most of its drugs are useless, at best – and even possibly harmful or deadly for many patients. See Dr. Joe Mercola's article on the subject. Can you Trust your drug manufacturer? Czech newspapers are questioning whether the shocking discovery of vaccines contaminated with the deadly avian flu virus -- distributed to 18 countries by the American company Baxter -- were part of a conspiracy to provoke a pandemic. Because of laboratory protocols that are routine for vaccine makers, mixing a live virus biological weapon with vaccine material by accident is virtually impossible. Baxter flu vaccines contaminated with H5N1 (the human form of avian flu) were received by labs in the Czech Republic, Germany and Slovenia. Initially, Baxter refused to reveal how the vaccines were contaminated with H5N1, invoking “trade secrets.” After increased pressure, they then claimed that pure H5N1 batches were sent by accident. But in the Czech Republic, reporters are investigating whether the contamination was part of a deliberate attempt to start a pandemic. The fact that Baxter mixed the deadly H5N1 virus with a mix of H3N2 seasonal flu viruses may be the smoking gun. The H5N1 virus on its own has killed hundreds of people, but it is less airborne. However, when combined with seasonal flu viruses, which are more easily spread, the effect could be a potent, airborne, deadly biological weapon. FDA Blunders...In October, the Institute for Safe Medication Practices (ISMP) posted this grim milestone: The number of serious drug reactions and deaths reported to the FDA set a new record in the first quarter of 2008 – almost 21,000 serious reactions were reported, and more than 4,800 deaths. Autism...Are vaccines responsible?...See the Robert F. Kennedy Jr explanation Just Google "autism/Robert F. Kennedy Jr."
Sadly, it's more sinister than that. The health threats listed above and much more, have all been linked with Gardasil, the so-called "cervical cancer vaccine." And thanks to Pharma giant Merck, desperate parents and naive young women believe this vaccine saves lives… they couldn't be more wrong. Natural News has released a video with information no one else is talking about. If you think you know the whole story on Gardasil, I think you'll be shocked by what you're about to see. It's just a few minutes long…and those few minutes might just save a young girl's life. Experts have pointed out that federal guidelines regarding proper nutritional intake are not justified medically and protect the interests of the food industry. Writing for the San Francisco Chronicle, two nutritional researchers Dr. T. Colin Campbell and Dr. Caldwell B. Esselstyn Jr. claim that a significant number of health problems among Americans stem from the quality and quantity of food they consume. Their key assertion is that a whole-foods plant-based diet can prevent conditions such as heart disease, diabetes or cancer, but the federal nutritional guidelines are surprisingly scant when it comes to these foods. Rather, the Food and Nutrition Board’s 2002 report suggests that the consumption of up to 35 percent of calories as fat is acceptable as a way to reduce the risk of heart disease and cancer, a level the experts dismiss as too high. "The scientific findings on diet and disease are marginalized by the political power of huge, mutually reinforcing commercial interests - meat, dairy, sugar, drugs and surgery," they state. In their view, the special interests are determined to convince lawmakers that solving the health care crisis should rely on increasing access to drugs and medical procedures instead of focusing on expanding access to safe and nutritional foods sources. Campbell is a professor emeritus of nutritional biochemistry at Cornell University, and Esselstyn is a former president of the American Association of Endocrine Surgeons and a preventive medicine consultant at the Cleveland Clinic. Acid Reflux industry...What a Ripoff! There are two kinds of stomach acid. The good is called hydrochloric acid (HCl), and the bad is called organic acids of fermentation. It’s the bad acids that cause all the trouble. The bad acids only appear when there is insufficient good acid or HCl. HCl does not cause heartburn, acid reflux and all the bad symptoms. Bad acids cause the discomfort. But when we take antacids, we kill all acid, the good and the bad… much the same as antibiotics kill all bacteria—the good and the bad. We have to drink buttermilk or take probiotics to put back the good bacteria. Doctors don’t advise us to put back good bacteria. We have to learn this and do it for ourselves (with probiotics or better yet, naturally fermented vegetables). Everybody over age 50 is low on good stomach acid. This creates the huge antacid industry that treats the symptoms only, quite often with some very expensive drugs, and does not address the real problem. Betaine Hydrochloride should be taken to restore a proper acid level. Probiotics help the body to maintain the proper level. You may have to experiment a little to see how much you need to achieve comfort. It is important to understand that the need varies according to stomach conditions. Acids of fermentation are products of decomposition. These are very harmful acids and they can mess up your health, causing acidosis, which is systemic poisoning. The only way to rebalance the body is with hydrochloric acid, which greatly stimulates immunity. Proton pump inhibitors (PPIs) are commonly used to treat acid reflux. They are popular because of the quick relief they offer but they are extremely dangerous to your health. PPIs, like Prilosec, Prevacid and Nexium, may be among the most dangerous drugs in your medicine cabinet. The 13 billion dollar PPI industry may be responsible for as much as a 94% increase in the risk of stroke or heart attack among it's long term users. I have found that taking a swig of pickle juice and an acidophilus or two has helped me, in the absense of having the right stuff. Before I started my training in neurology at Mt. Sinai Hospital in New York City in the early 1980s, I had completed three years of internal medicine at Temple University Hospital in Philadelphia. At part of my internal medicine training, I would read the most prestigious American journals for internists, those being the New England Journal of Medicine, the Annals of Internal Medicine and the American Journal of Medicine. If there was an article in one of these journals, you certainly had to take note. Well, I certainly did take note earlier this week when I read a great study1 published on the benefits of red yeast rice in the Annals of Internal Medicine. Researchers from the University of Pennsylvania School of Medicine studied the effects of red yeast rice in a group of patients with elevated cholesterol who had been on statin medication but had to stop the medication because of muscle pain. The study involved 62 patients with elevated cholesterol. Half of the group was randomly assigned to receive 1,800 mg of red yeast rice twice a day or a placebo pill twice daily for a total of 24 weeks. Concomitant with this supplement regimen, all of the patients participated in a twelve-week therapeutic lifestyle change program which included diet, exercise, relaxation techniques and so on. At the end of twelve weeks, those patients supplemented with red yeast rice saw their LDL (bad cholesterol) drop by an amazing 43 mg from baseline and 35 mg at the end of the 24-week study. Those in the placebo group did notice a small decrease in LDL cholesterol by 11 mg and 15 mg, respectively. The results were statistically significant. Of importance, patients given the red yeast rice did not notice any increase in liver enzymes, weight loss or muscle pain compared to the placebo group. The authors concluded that a combination of red yeast rice supplementation and lifestyle change may be a safe option for those who cannot tolerate the statin drugs. Although the study size was relatively small, the results were very important. I am not quite sure why the authors concluded that red yeast rice could be a treatment option for those who could not tolerate statins. I know that there are many people out there including medical doctors who are leery of drugs because of their very high prices and long list of side effects. I would ask the question if there is a safe, natural, inexpensive and effective option proven by controlled, well done human studies, why not utilize it first? I would like to compliment ABC News for doing a great article and video on red yeast rice and also for mentioning another red yeast rice study indicating heart attack patients reduced their risk of heart attack by 45% after five years of use. Click here to see the article. I chose to do some quick math by reviewing one of the top selling and rated red yeast rice extracts sold at Vitacost for $14.99 per 240 capsule bottle using a six cap, 3,600 mg total serving for $0.38 cents per day versus a website selling Lipitor at $124.99 for a 30 tablet serving. Lipitor is $4.17 per day, 11X (1,100% more expensive) compared to 3,600 mg of red yeast rice. You may say that you have insurance, Medicare or Medicaid so who cares, but you should. The reason is the high costs of health care and drugs are bankrupting our government both state and federal and many employers. 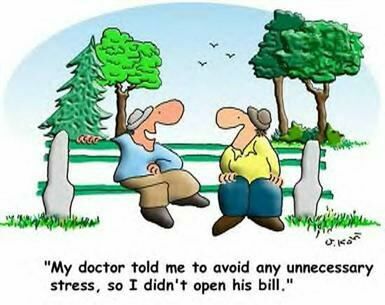 Also the #1 reason for personal bankruptcy is health care expenses.